Researchers must improve ways to verify weapons declarations and collaborate on nuclear power, argues R. Scott Kemp. R. Scott Kemp is associate professor of nuclear science and engineering at the Massachusetts Institute of Technology (MIT), and director of the MIT Laboratory for Nuclear Security and Policy in Cambridge. In 2010 and 2011, he served as science adviser in the US State Department’s Office of the Special Advisor for Nonproliferation and Arms Control. There’s a lesson to take from the speed with which the US–North Korean dialogue has oscillated between thinly veiled threats of nuclear annihilation and the promise of cooperation: that constructive dialogue between nations is never more than a political decision away. Openings can come quickly; when they do, it pays to be prepared. Unfortunately, there are major technical gaps in the ability of science to verify the eventual nuclear disarmament of North Korea. Closing these gaps will be crucial to moving from the generalities produced for the global stage to specifics on the ground. Given that solutions will take time to develop, scientists and engineers need to focus on these challenges — and soon. Understandably, many experts remain sceptical that diplomacy alone will deliver a lasting solution. All previous attempts to work with North Korea have floundered because of deep-rooted mistrust and reticent compliance from all sides. The same could happen again, especially if expectations grow too quickly. But there are also solid reasons for optimism. 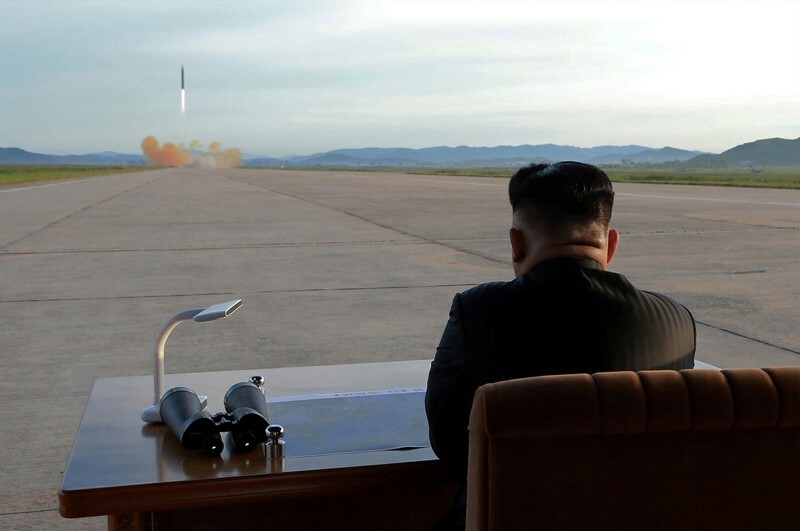 The motivations of all parties to stay the course are higher than ever: North Korea is on the verge of producing a significant nuclear arsenal, making the consequences of failure extremely high. On the positive side, the benefits of successful diplomacy could bring economic gains for both sides. North Korea holds an estimated US$10 trillion in untapped mineral reserves, including what might be the world’s largest single deposit of rare-earth metals. Structural changes that have been unfolding inside North Korea for the past six years suggest that now is the time to begin a measured engagement (see ‘Reasons for optimism’). This is not to say that the world should expect steady progress. The Iran nuclear agreement, by comparison, took 13 years to bring about. I was one of the scientists working to make that happen, and I watched first-hand as planners experienced setback after setback. Similarly, during the cold war, arms control between the United States and Soviet Union was achieved through punctuated evolution rather than through a single grand agreement. In several ways, the former Soviet Union might be a better model for understanding North Korea than, say, Libya or Iran. North Korea can use its missiles and nuclear weapons for leverage; it is motivated by a complex mix of economic distress and security fears; and it holds an almost pathological distrust of the United States. Thus, as with the Soviet Union, the world should expect North Korea to hedge its bets, engage in brinkmanship and cheat on its agreements. An enlightened approach can nevertheless be resilient. For example, the United States stood by the 1972 Anti-Ballistic Missile Treaty in 1985 when the administration of then US President Ronald Reagan learnt that the Soviet Union had built prohibited radars. Instead of tearing up the treaty, Reagan used the evidence to pressure the Soviets into accepting a subsequent agreement that placed more restrictions on their arsenal. One crucial difference is that denuclearization — total nuclear disarmament and the removal of supporting nuclear facilities — was never on the table with the Soviet Union as it is with North Korea. As a consequence, many of the verification challenges associated with denuclearization were never solved. South Africa is the only case in history that comes close: it gave up its nuclear weapons voluntarily in 1991 before the apartheid-era National Party ceded power to the African National Congress. The outgoing government did not want to bequeath nuclear weapons to its successors. The new government cooperated by giving international inspectors access to sites. Technical discrepancies still cropped up1. The world ultimately accepted South Africa as being free from nuclear weapons for political, rather than technical, reasons. North Korea will be a very different case. At present, at least three challenges would impede successful verification2. First, there is no known way of detecting secret centrifuge facilities for enriching uranium. These can be smaller than an office building, would easily fit into an underground tunnel, consume very little electricity and release almost no thermal or chemical emissions — all of which makes them hard to find. Based on the speed with which North Korea built the one enrichment facility it has made public, there is good reason to believe that it operates at least one other research facility. It has probably built other full-size production facilities, too. These facilities need to be found and dismantled. Second, there is currently no way of estimating how much weapons-grade uranium North Korea has produced. A forensic method is needed to reconstruct the production history for each of the uranium-enrichment facilities that might be discovered. This process will help to confirm the completeness of declarations and ensure that North Korea is not keeping a secret cache of enriched uranium for future use. Third, the international community does not know how much uranium or plutonium was consumed in North Korea’s weapons tests. Weapon designs can use a wide range of quantities, and only a small fraction is destroyed during the explosion. As such, on the basis of the explosive yield, it is not possible to estimate how much uranium or plutonium fuel was removed from stockpiles. North Korea could claim that large quantities of uranium or plutonium were used to build its early weapons, while actually holding significant amounts in reserve. In the absence of technical tools, inspectors will try their best using interviews, logbooks and other records — but these could easily be incomplete or forged. Robust technical methods would provide an extremely valuable layer of confidence that does not rely as heavily on trust. Solutions to these long-standing challenges lie at the frontiers of research. For example, if chemists or materials scientists could develop a way to sense uranium–fluorine bonds in aerosols at levels between parts per billion and parts per trillion, this could pave the way for exposing clandestine uranium-enrichment plants. Detecting uranium or fluorine alone would not work, because both are relatively abundant, but the uranium–fluorine bond is unique to nuclear programmes. Analytical methods might also be developed to check declarations about the past production of enriched uranium. There are ways to examine chemical residues in facilities. None are reliable enough, because they are sensitive to operating conditions, such as humidity, that can vary widely from plant to plant and over time. Methods that do not rely on chemistry, or that can combine multiple lines of information to control for variations, might help to solve this challenge. The third problem of estimating the amount of material used in past weapon tests might be conquered by geochemists, hydrologists and petroleum engineers. 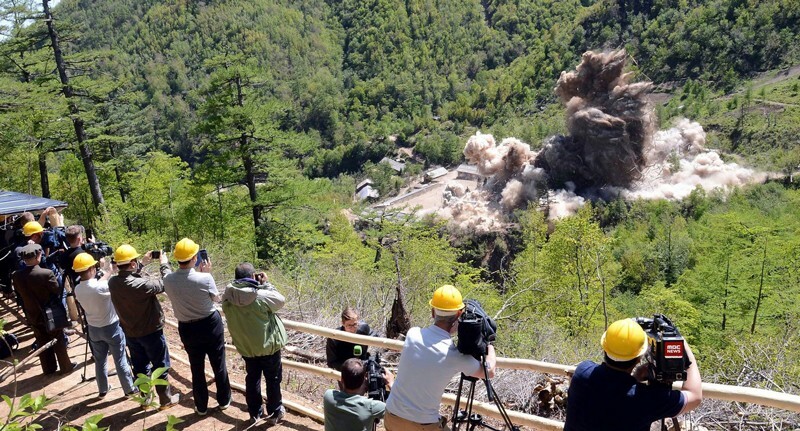 They could drill into the mountain where North Korea performed its tests, and assess the amount of plutonium or uranium associated with each detonation. Given the disturbed rock zones, the oxidizing environment and water transport of isotopes through the mountain, this presents a challenging, long-term study. The verification requirements outlined here are well suited to government laboratories, but history suggests that university and industry scientists can play a valuable part in forging international agreements as well. For example, in 1988, a group of non-government scientists from both the United States and the Soviet Union shored up confidence in the proposed Comprehensive Test Ban Treaty by demonstrating that even small, conventional explosions could be detected at a Soviet nuclear test site, using seismic monitoring. In 1991, physicist Thomas Neff, then at the Massachusetts Institute of Technology in Cambridge, proposed turning the uranium from Soviet nuclear weapons into fuel for civil nuclear reactors. For almost 20 years, starting in 1995, about 10% of US electricity was generated from dismantled Soviet warheads. Academics are often more able than government scientists to propose novel ideas. They can proceed independently of political posturing, and they can communicate to the public or to key decision-makers without layers of political filtering3. Verification will be slow (as will diplomacy). It is unlikely that we will be able to achieve high confidence in the accuracy and completeness of North Korean declarations in the next decade. In the meantime, engaging with North Korean scientists and engineers will itself build confidence. During the cold war, the Academy of Sciences of the USSR undertook a study of how it could ever trust the exceptionally adroit United States. The study concluded, “The criterion [for] a verification regime is the reduction to a minimum of pretexts for mutual suspicion about possible and significant concealed violations … even if it fails to detect a violation right away.”4 The United States commissioned the JASON group of science advisers to do a similar study5. It concluded “verification will of necessity be less than perfect … it must rely on difficult political/strategic judgments, as well as technical ones.” In short, trust comes as much from the people involved and the relationships they forge as it does from the data. There are opportunities to begin building useful relationships now. One way is to use civil nuclear energy as a bridge to more-sensitive nuclear issues, because it involves many of the same technologies, experts and facilities. Earlier this year, North Korea completed major construction on what it calls an experimental light-water power reactor, at Yongbyon. However, the country does not have the capability to test fuel for the reactor to international safety standards. South Korea has both the test facilities and the decades of experience needed. Cooperation between the two nations in this area would help to establish trust, and would reduce the risk of an accident that could shower the citizens of South Korea with radioactive fallout. The full closure of North Korea’s nuclear-weapons programme will take many years of political horse-trading, inspections and verification work. There will be periods of optimism and of tension. When the politics do align, government advisers will be scrambling for solutions to the hard technical problems that impede progress. In anticipation of those moments, researchers who wish to unblock the path to peace should begin working now. There is growing evidence that North Korea is undergoing a real shift. Its leader, Kim Jong-un, stepped into his father’s shoes 6.5 years ago, at age 28. He began his reign with displays of power, purging internal challengers and fast-tracking the development of nuclear weapons and long-range missiles. It was a discouraging start, but after cementing his authority over a sceptical military, he began to plant seeds of change. In March 2013, Kim unveiled a new party line, byungjin — referring to ‘parallel development’ of the economy and nuclear weapons. Although the basis of the policy is not peaceful, it was nonetheless a liberalizing segue from songun, the ‘military first’ policy of his father. He elevated his economic advisers to the front of his retinue, where military officials used to stand. He has also elevated the party in terms of its relationship to the military. At the 7th Congress of the Workers’ Party of Korea in May 2016 — the first such congress in 36 years — he adopted a policy enshrining scientific research and technological innovation, not military discipline, as the motive force for national progress. This April, Kim announced that his transitional byungjin policy had been fulfilled; the new party line is now to devote all available resources to economic development. On the ground, there is evidence of a new urban-services economy. The number of official shops in North Korea where ordinary citizens can buy basic goods has nearly doubled since 2010. Markets are now more formally organized, with merchants renting stalls from the government. Several private taxi companies now compete for business in Pyongyang. And the government is developing tourism sites in areas of unspoiled beauty to welcome outsiders and their cash. The Western-educated North Korean leader might understand that his success at home, and the survival of his nation, depends on finding a controlled way to engage the outside world. von Baeckmann, A., Dillon, G. & Perricos, D. IAEA Bull. 37-1, 42–48 (1995). Kemp, R. S. Ann. Rev. Earth Planet. Sci. 44, 17–35 (2016). Von Hippel, F. Citizen Scientist (American Institute of Physics, 1991). Vasiliev, A., Gerasev, S. & Oznobischev, O. Sea-Launched Cruise Missiles: Verification Solutions (Institute for US and Canadian Studies, 1988). Drell, S. et al. Verification of Dismantlement of Nuclear Warheads and Controls on Nuclear Materials (JASON, The MITRE Corporation, 1993).